ITT=intent to treat; ORR=overall response rate; PS=performance status. 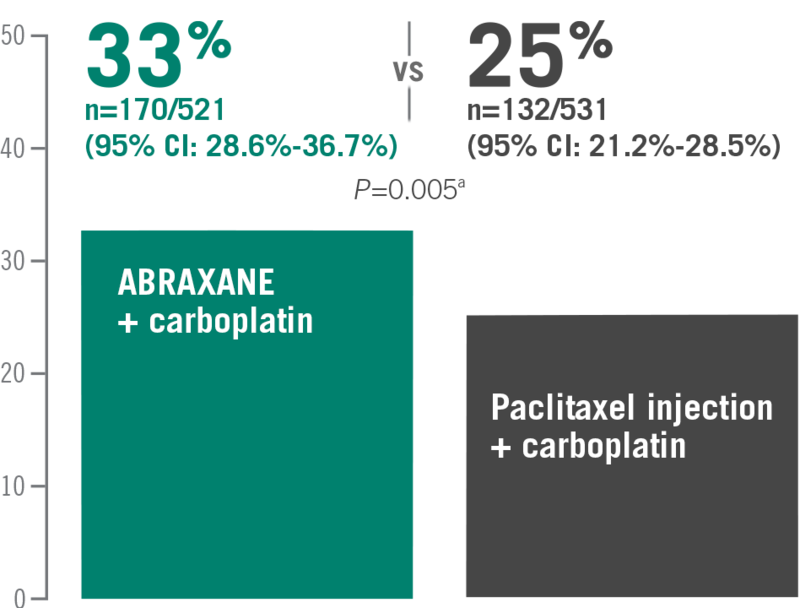 aFirst-line albumin-bound paclitaxel (ABRAXANE) + carboplatin for PS 0-1 patients with advanced NSCLC and EGFR, ALK, ROS-1, BRAF, and PD-L1 negative or unknown. bCategory 1: Based upon high-level evidence, there is uniform NCCN consensus that the intervention is appropriate. cP value is based on chi-square test.